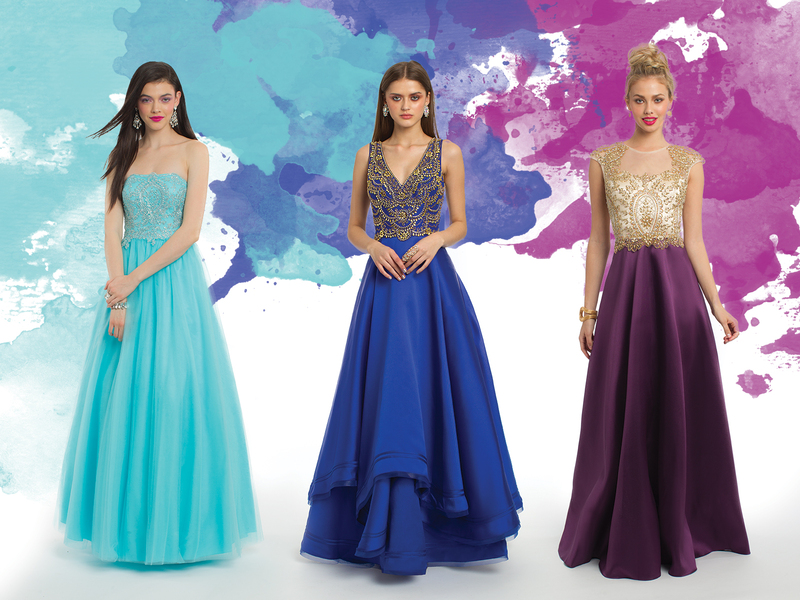 With each prom season comes fresh fashion trends, from specific necklines to colors to fabrics. Off the shoulder necklines may dominate the scene one year, while anything lavender is hot for the next. Not one to shop the trends? No worries; a timeless column or ballgown silhouette with simple detailing is a look that stands the test of time. Eager to discover your dream dress? The Camille La Vie prom dress collection includes a blend of both trends and classics at fabulous value. We broke down some of the most popular prom dress styles so you can shop for your desired look without breaking stride. Scroll below and prepare to score an A+ in prom fashion. If you were to ask us, the top two goals of prom are 1: To have an AH-MAZING time while 2. Looking fabulous. You already know we’re here to help you nail that red carpet look, but when it comes to pictures with friends, dates, etc. a little fashion coordination can go a long way. Showing up to prom with your besties? 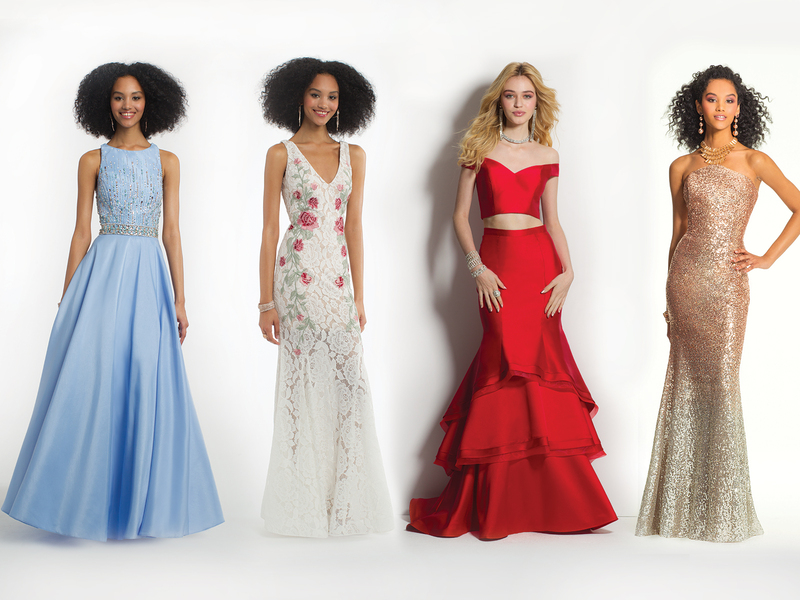 We’ve got a few ensemble ideas up our chic sleeves… Check out our fave prom dress combos whether you arrive with one, two, or four of your gal pals. Prepare to appear perfectly in formation as you pose with the Taylor to your Selena (or the Gigi to your Kendall).